View our News and Deals or read our 'Viewpoint' blog. Peill & Company, the PAI member for Cumbria, the Lake District and Lancashire, have recently concluded 10 lettings at the Haig Enterprise Park, near Whitehaven in west Cumbria. The lettings followed Peill & Company being appointed as managing agents and letting agents to the estate, which comprises 42 business units, with plans for additional units. The instruction has included Peill & Company’s property management team, agency department and building surveying department (who have overseen refurbishment and reconfiguration of one of the blocks at the estate to create 3 new industrial units, all of which have now been let). Units are available either on flexible tenancy agreements or long-term leases and a number of the units have changed occupier with new tenants moving in more or less immediately the previous tenant has vacated. Units at the estate range from approximately 250 sq ft through to 5,500 sq ft and lettings have been achieved across a range of these unit sizes. The rentals which have been achieved since the refurbishment are significantly higher than previous rents at the estate, reflecting the refurbishment works and active management of the estate. A new website for the estate will be launched shortly and there are currently a number of smaller units available to let, plus a proposed new-build of up to 30,000sq ft is being considered. Further details are available on the Peill & Company website or under the property search here on the PAI website. 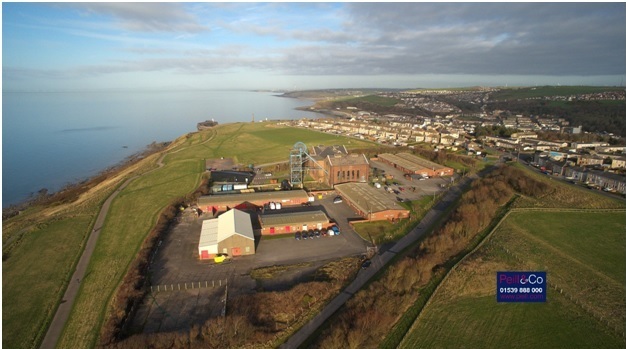 The Haig Enterprise Park was constructed in the early 1990s by the former British Coal Enterprise Board and is situated just outside the town of Whitehaven offering excellent access to Sellafield and the west Cumbria business community. Added to that, being perched on top of a hill overlooking the town, the estate offers commanding views across the Irish Sea towards the Isle of Man, the Solway Firth and surrounding mountains of southern Scotland and the Lake District Fells.